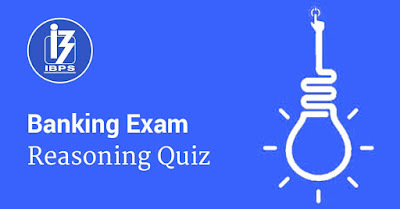 High Level Puzzle and Seating Arrangement Practice Question Based on Tabular and Complex Seating Arrangement for IBPS PO, Clerk SBI PO, Bank PO/Clerk, RBI Exam and Other Bank Exams. Puzzle and Seating Arrangement in Reasoning Ability section of Bank Exam is very Important. These Days Around half Questions come from Puzzle and Seating Arrangement in Bank PO and Clerk Prelim & Mains Exam. Puzzle and Seating Arrangement in Reasoning Ability section of Bank Exam is very Important. These Days Around half Questions come from Puzzle and Seating Arrangement in Bank PO and Clerk Prelim & Mains Exam. High Level Seating Arrangement Tough Questions with Answers Reasoning Puzzles facing outside and inside questions are one of the most popular Topics in almost all competitive examinations such as SBI PO, SBI PO 2017, NICL, RRB, LIC, SSC CGL 2017, Indian MBA entrance exams like CAT, MAT, XAT, and SNAP have direct questions or questions based on similar logics in written test. Besides MBA exams, competitive exams like GRE, GMAT, Bank PO, SSC & other government exams include puzzle questions. Here at bank4success we are Provide you Daily Reasoning Ability Puzzle and Seating Arrangement Questions and Answers for IBPS, SBI PO, Bank PO/Clerk and RBI Exam along with Puzzle and Seating Arrangement questions PDF for bank exams. There is an eight-member committee heading a housing society. There are four sectors – A, B, C and D. Two members represent each sector. The members are – M, N, O, P, R, S, T and U. The names of the members are not necessarily in the same order as the names of the sector. The members are from different professions. Those professions are — Singer, Tailor, Artist, Dentist, Writer, Designer, Businessman and Physician. During a dinner they all sit around a table facing towards center of the table. No two representatives of the same sector are sitting adjacent to each other except those of sector B. Representatives of sector A are sitting opposite each other. The Dentist is sitting on the immediate left of the Physician. R is neither the Physician nor the Artist. U, the Designer, represents sector C.
U is sitting on the immediate left of N, who represents sector B. N is not the Artist. S is writer and he is neither from sector A nor C nor D. S is sitting opposite T.
M is Tailor and sitting between the T who is dentist and the one who is Businessman. Both the representatives of sector D are sitting adjacent to representatives of sector A.
Q1. Who is the Singer? Q2. What is the profession of O? Q3. Who among the following represent sector A? Q4. Who is sitting opposite to one who is Designer? Q5. Who among the following represent sector D? There are seven faculty of an Institute viz. A,B, C, D, E, F and G. And they teach different subjects viz. Math, English, Computer, Reasoning, and General Awareness but not necessarily in the same order. They all wear shirts of different colour viz. Red, Black, White, Yellow, Blue, Pink, and Violet but not necessarily in the same order. They all teach in different city across India viz. Lucknow, Delhi, Noida, Varanasi, Agra, and Mathura. Each subject is taught by at least one faculty except two subjects which are taught by two faculties each. Only two faculties are there, who teach in the same city. The following information is known about them. A teaches English subject. E teaches General Awareness subject and wears Yellow shirt. The one who wears White shirt, takes class in Agra. D and F teach same subject. The only faculty who teaches in Lucknow wears Red shirt. B wears either Black or Pink colour shirt. F takes class in Mathura. The one who takes class in Varanasi wears Blue colour shirt but he teaches neither English subject nor he is D. Neither B nor F teaches Computer subject. The one who teaches Math, takes class in Noida and in any case he is not D. The one who wears Violet shirt, teaches Computer subject. C and E take class in same city. There are two faculties who teach Computer subject. A does not teach in Lucknow and C does not wear Blue. Q6. Who among the following faculty teaches in Delhi? Q7. Who among the following wears Pink shirt? Q8. Who among the following faculty teaches in Agra? Q9. Which of the following statements is true? Q10. Who among the following faculty teaches English subject?